Flanked by the Mediterranean Sea and Sahara Desert and ablaze with Arabian decadence, Tunisia is a place of irresistible intrigue and exotic North African charm. Tunisia is home to over 11 million people and a fascinating history that predates recorded history. Attractions include the Amphitheatre of El Jem, ruins of Carthage, city of Kairouan and island of Djerba. Get ready to wander through ancient places and explore underwater kingdoms with cheap flights to Tunisia. Tunis, the capital, is home to Tunis–Carthage International Airport (TUN), which is a 15-minute drive from the heart of the city. 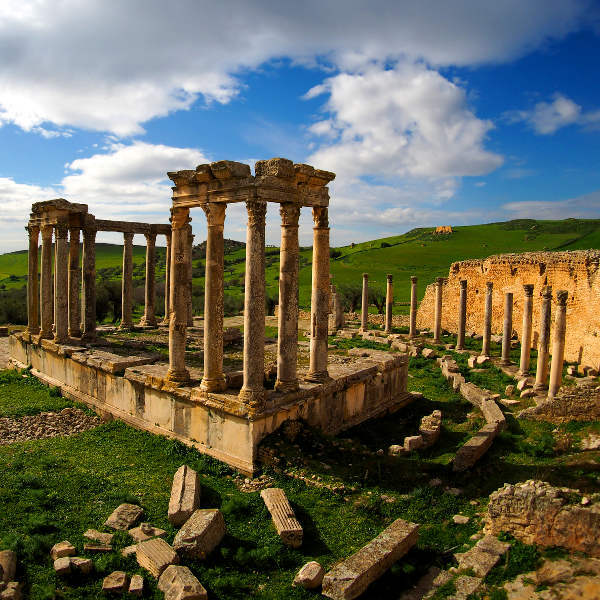 The landscape of Tunisia abounds with ruins and relics that offer a chance to explore ancient worlds and architecture. Notable places include Carthage, El Jem Amphitheatre, Zaghouan Aqueduct and Dougga. 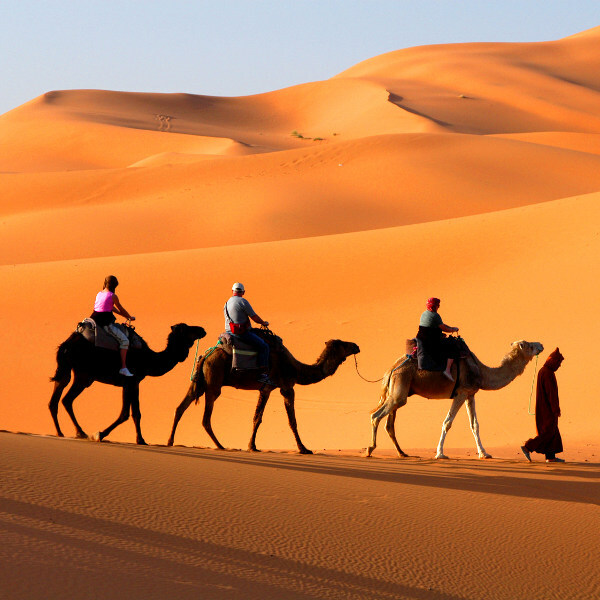 For a truly authentic and unforgettable Tunisian experience, saddle up and embark on a camel trek from the town of Douz into the blistering Sahara Desert, along the shimmering beaches of Hammamet. Venture into wild mountains and rugged canyons and you will discover surreal mountain oases draped in green palms and glittering springs. 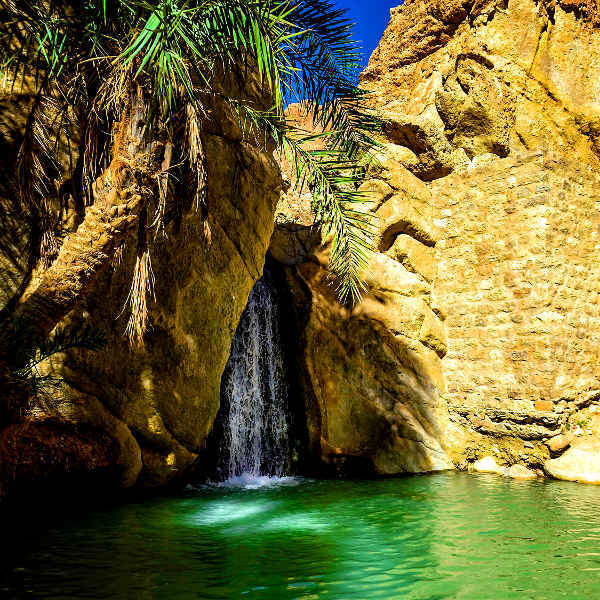 The most beautiful oases are Midès, Chebika and Tamerza. The northern coast of Tunisia experiences a Mediterranean climate, with mild, wet winters and hot, dry summers, while the inland areas experience a desert climate. The best time to visit Tunisia is during the spring months (April to June) when the landscapes are abloom with crimson poppies and fragrant apricot trees, or September and October when the weather is balmy and the first dates are harvested. If you want to see the mountain oases in all their shimmering glory, the best time to visit is during October and November (autumn). Notable events include: Yasmine Hammamet Festival, International Festival of Sousse and Ulysses Festival. For cheap flights to Tunisia, the best time to visit is during July and August (summer). Sunken into the blazing sands of the Sahara Desert and teal waters of the Mediterranean Sea, Tunisia is a place of exotic juxtapositions and Arabian decadence. The coastline of Tunisia is dotted with beautiful beaches that whisper of lazy afternoons, spectacular diving and sensational sunsets. Hammamet beach is famous for its underwater odysseys and white sands, Monastir is a popular beach for surfing, Djerba is a picture-perfect beach escape and El Haouaria offers seclusion. Beyond the glittering shorelines, cities hum to the easygoing rhythm of the country and burst at the seams with north African charm and fascinating attractions. Tunis is the sprawling capital city of Tunisia. Within its bustling borders you will find the famous Andalusian-style neighbourhood of Sidi Bou Said, a medina bursting at the seams with Ottoman architecture and old winding streets, and the Bardo National Museum. Be sure to explore the old city streets of Kairouan and canals and fortresses of Bizerte, the oldest city in Tunisia. Head to Tozeur for an unforgettable meander through the ornate 14th century medina of Ouled El Hadef. Compare several airlines and book your cheap flights to Tunisia online at Travelstart! Due to political instability and the threat of terrorism, there are certain risks when travelling to Tunisia. You should stay up to date with travel advisories and follow the local media for updates regarding the security situation throughout your trip. Travel insurance is highly recommended. Avoid all travel to Chaambi National Park and areas along the border with Libya and Algeria. Avoid large crowds and remain vigilant in areas frequented by tourists. Avoid wandering around with large sums of cash and valuables, as pick-pocketing and muggings do happen. Only make use of licensed taxis and maintain vigilance on buses and trains. You should familiarise yourself with the local laws and customs before arriving in Tunisia. Proof of yellow fever vaccination is required if you are coming from an infected area. Insect-borne diseases are present in certain parts of North Africa, so precautions should be taken to avoid bites. Immunisation against hepatitis A & B, typhoid and rabies is recommended. Routine vaccinations include MMR, diphtheria-tetanus-pertussis, meningitis, varicella, polio and influenza.